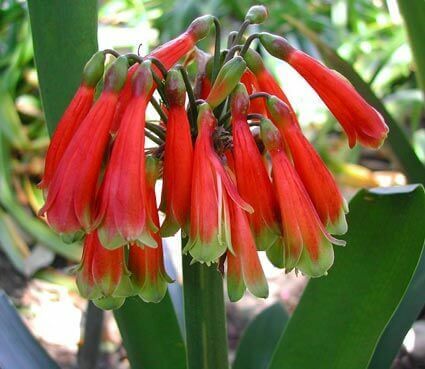 Originally from South Africa, Clivia Caulescens grows as an epiphyte on trees in the wild, as well as growing in soil, or on humus-covered rocks. 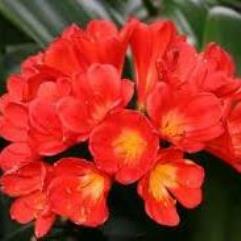 It is an evergreen clivia which can grow to 1.5 metres in height. 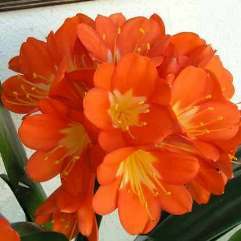 It flowers from late Summer to Autumn. 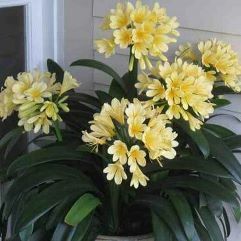 It's Clivia-like flowers hang downwards and have green tips on them. This is quite a rarity and a wonderful addition for a garden with shade. Height to 1.5m. Width to 70cm. Full, shade to part shade. 5 - 6 years old. 8 leaves.